Did Pauline Hanson break the law during her Reef visit? 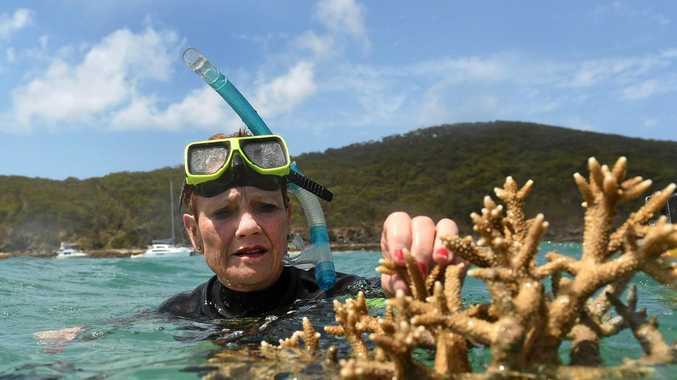 MEMBER for Keppel Brittany Lauga has raised concerns that One Nation leader Pauline Hanson might have breached the Great Barrier Reef Marine Park Act during her visit to Great Keppel Island. Ms Lauga accused Ms Hanson and her group of One Nation senators of using "our Keppel Bay as a scapegoat for your political stunts" during her excursion there on Friday to inspect the health of the reef. Ms Lauga was concerned that during the dive, coral was brought up to the surface and handled by the group. 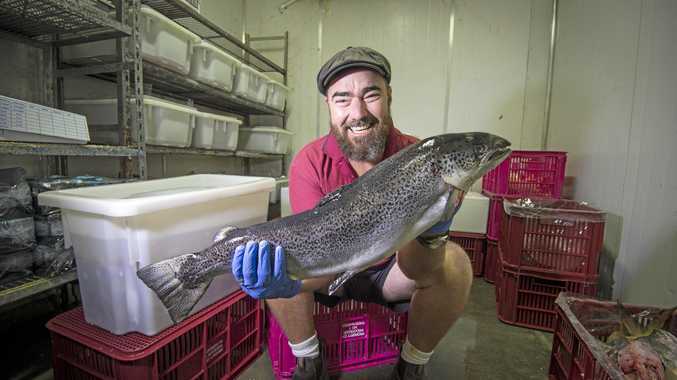 "On its website, Great Barrier Reef Marine Park Authority states that permits must be granted before collecting any specimens," Ms Lauga said in a statement. "You must not damage, collect or otherwise take coral, including dead coral, and protected shell species (that is giant triton shell, helmet shell, giant clam) in the Great Barrier Reef Marine Park unless you have a Marine Parks permit." She said maximum penalties for individuals had increased from $470,000 to $700,000, while corporations faced fines of more than $3.5 million, up from $2.3 million. "We are proud of our healthy and beautiful Southern Great Barrier Reef," she said. "We don't need to be lectured by an outsider who rocks up, without any knowledge whatsoever, for a five-minute failed publicity stunt. It is especially disappointing given the actual reef which suffered the extreme bleaching event is over 1000km north of Keppel Bay." Ms Hanson came under fire from reef and climate groups for inspecting GKI when "the real action" was occurring 1000km to the north. On her Facebook page, Ms Hanson said she had enjoyed the "greatest experience today (Friday) with Senators Roberts and Burston on the reef off Great Keppel Island". "Let me be the first to assure you, the Great Barrier Reef is alive and well, especially around GKI," she said. She responded to a Facebook critic who accused her of visiting a healthy section of the reef when 81% of reefs inspected in Northern Queensland were reportedly "severely bleached". "The issue remains that the Greens and people like yourself send the wrong message to the outside world that the reef is dead and it's killing tourism," Senator Hanson said. "The patch we snorkelled on was bleached a few years ago and the scientist we took with us Friday showed how it came back to life after just 12 months." Ms Hanson's office and the GBRMPA was contacted for a response to Ms Lauga's claims but neither had responded by 7pm, Sunday.